Best Vacuum Cleaners According To Different Type Of Surfaces? 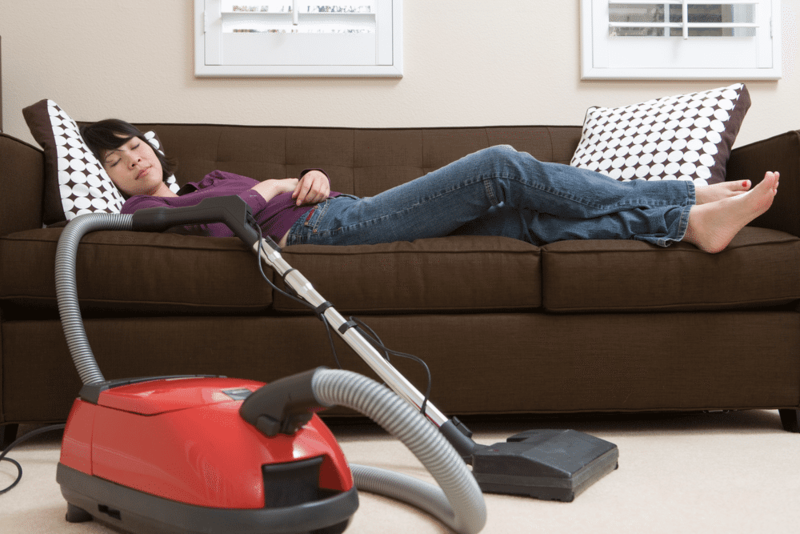 Having a vacuum cleaner is something that should be in your home. It is simple to use and makes quick work of cleaning different surfaces. However, not every vacuum cleaner can clean every surface and many vacuums have a tough time when you have a certain type of floor that might need to be cleaned in a specific way. To help you find the ideal vacuum cleaner for your surfaces, we have done a couple of tests. These tests allowed us to pit vacuum cleaners against almost every surface that is used today. Instead of doing a ton of research on the specs of a vacuum cleaner, you can simply read this article, as we reveal the best type of vacuum cleaner for the most common surfaces. The carpet is probably the most common type of surface in most homes and it comes in many forms. The standard short hair carpets can be easy to clean and one can basically use almost any vacuum cleaner to help you make sure that it is clean. However, carpets with longer hair need something that will reach deeper. Your standard stick vacuum cleaner can do this, but it will need a different type of carpet attachment. For these carpets that need a deep clean, you will need a powerful vacuum cleaner and we commonly recommend something that is corded. The simple carpet sweeper is also something to have in your cleaning arsenal, but it commonly works for shorthair carpets. If you like to keep your home cooler, you might have noticed that tiles are much better than a standard carpet. Since they reflect heat instead of absorbing them, the tile floor is one of the best options when it comes to keeping your home cool. However, they can be quite tough to clean and you might need something with water to help you. Wet/Dry vacuum cleaners work the best here and since they are powerful, these vacuum cleaner can help to absorb some of the dirt with ease. If you choose the wet setting, you also have a little bit of water to work with and this should allow you to mop up any spills. However, if stains are presents, you might need to break out the old mop. Whether your countertop is made from wood or granite, you will need to clean it occasionally. A simple cloth can do the trick, but with things like bread crumbs, there is a tendency for them to fall on the floor. To reduce the excess work and to ensure that all the loose particles have been thoroughly cleaned up, you can consider the handheld vacuum cleaner. The handheld vacuum cleaner is small and can easily be moved from one location to another. While the suction power might be limited, you only need a little bit of suction if you want to get decent results. Another common trend in the US and around the world is changing all your flooring to wood. This might be a great way to make your home look more stylish, but it can attract a lot of insects if the wood is not treated regularly. A problem like this can be really frustrating, even for someone who takes good care of their homes. When it comes to wooden and laminated floors, you might want to limit the amount of water that is used. Water does not work well with wooden floors and could potentially lead them to rot. However, the Wet/Dry vacuum cleaner is perfect to help you reduce the water. To be quite honest, wooden floors are not that hard to clean and almost every vacuum should work. We all have a car and we need to keep it clean from time to time. However, it is hard to get some of the dirt particles out of the car if you don’t have the right tools. Most people use normal vacuum cleaners to clean the car. However, the top vacuum cleaners come with car adapters to also help you make sure the seats do not get damaged. When buying a vacuum cleaner that you know will be used for the car as well, it is best to find something that includes this car attachment. The attachment works well for most cars and we have seen them even clean leather seats effectively. Last but certainly not least, we need to look at blinds and curtains. These are an integral part of the home and they keep the windows covered for privacy. However, they also absorb a lot of dirt and if they are not cleaned, they could even harbor a few nasty insects. Once again, you can find an attachment for the windows, especially your curtains that will reduce some of the suction power and allow you to clean the curtains. Blinds, on the other hand, can be a little more daunting. When it comes to cleaning your blinds, you might want to find a dusting attachment and wash them with a normal cloth. Now you should be able to keep your home in the best possible condition with the right vacuum cleaner. Most vacuum cleaners will accommodate most surfaces depending on the included attachments. However, the Wet/Dry vacuum cleaner is the most functional when it comes to features and offers a lot of versatility. Let us know in the comment section which vacuum cleaner you have used for which surfaces and if we might have missed any of your favorites. We would love to read some of the comments. If you have used different vacuum cleaners or have any queries about surfaces, you should also feel free to comment and let us know. Bag Vs Bagless Vacuum Cleaner – Comparison And Top Opinion? ﻿Timberline Chainsaw Sharpener Vs Oregon Chainsaw Sharpener Vs Stihl Chainsaw Sharpener. Which one is the best?